Home / baseball / CM / frontier field / Rochester / Rochester Red Wings / Sports / Red Wings unveil brand new seating venue for 2019! Red Wings unveil brand new seating venue for 2019! 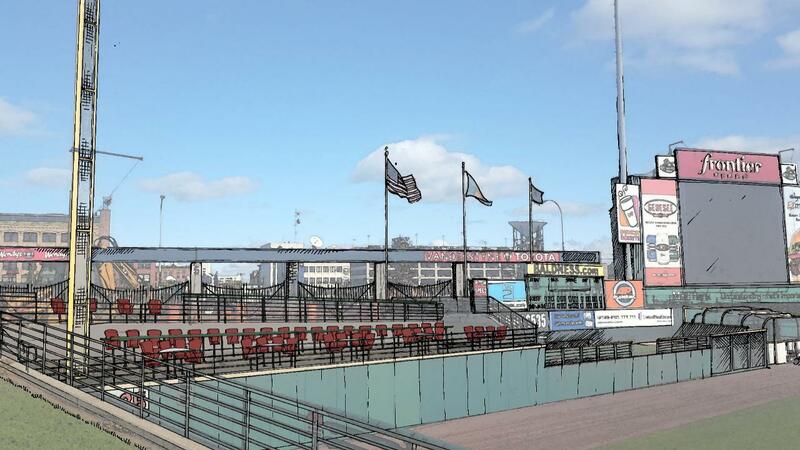 ROCHESTER, N.Y. -- Red Wings fans will be able to experience a game from a brand new vantage point in 2019! The new area - located just over the left field fence between the foul pole and visitor's bullpen - will include five half-moon tables with four swivel seats at each table. Behind the tables, a drink rail with 20 barstool-style chairs will span the entire area. Both the tables and drink rail will be equipped with phone charging outlets. This 40-person venue is available for groups to purchase NOW for $700. Beginning February 20 (when all single game tickets go on sale), individual tables and drink rail tickets will be available for purchase. A four-person table will be $80 (must purchase entire table) and individual barstool tickets along the drink rail will be $18. Groups interested in purchasing this area for any of our 70 home games can call a group ticket representative at (585) 454-1001 to reserve their date. So what's the name of this new venue? That's up to YOU! Fans are encouraged to send name suggestions to info@redwingsbaseball.com. The winner will receive a FREE table in the new area at a game during the 2019 season. The Red Wings 23rd season at Frontier Field begins on Thursday, April 11 at 6:05 pm against the Lehigh Valley IronPigs. Single-game tickets for all 70 home games will go on sale Wednesday, February 20. Suites, party venues and picnics for the 2019 season are being booked now. Call (585) 454-1001 to reserve your date today!